The Branigan Cultural Center presents a demonstration of gourd art and art techniques on Saturday, March 7 from 11am-1pm, by artists from the exhibition Enchanted Gourds. The artists will bring examples of numerous gourd art approaches for the audience to examine in detail. They will answer questions about how gourds are prepared for painting and other means of transforming this plant into art. Several members of the group will be present over the course of the morning and will also be available to discuss the works on display in the gallery. The Branigan Cultural Center is located downtown at 501 N. Main Street, next to the Museum of Art. Gallery hours are Tuesday through Saturday from 9:00 am to 4:30 pm. 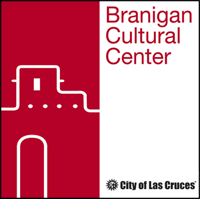 For more information, contact the Branigan Cultural Center at (575) 541-2154. Find our events calendar and announcements on our Facebook page, or visit the Center’s web site at las-cruces.org/museums.